Stated Terms and Conditions Influence Legal Result. Then suppose John delivers the widget to Betty, but Betty fails to deliver the bitcoin. What are John’s legal rights? Under US law it appears John and Betty have formed a legally enforceable contract. The parties made mutual promises for valuable consideration. The widget is valuable, and the bitcoin is valuable under current market conditions. But the novelty of Bitcoin could make the precise outcome of a lawsuit by John against Betty hard to predict. The “Money” that Is Not Money. Although some people use the word “currency” to describe the phenomenon popularly known as Bitcoin, Bitcoin might not actually be a “currency.” Unlike dollars, it has not been deemed in US law as legal tender that can be used to extinguish a debt. Further, the Internal Revenue Service views bitcoin as property – which is subject to capital gains taxes – rather than currency -- which normally is not subject to capital gains taxes. What Are the Remedies for Breach of a Virtual Money Contract? So if John sues Betty for breach of contract, it seems he could succeed in showing he is the victim of a breach and he is entitled to remedy under contract law. But it could take some effort for a court to understand the contract. Bitcoin is a specific example of a general idea. The general idea is trading by way of a distributed cryptographic ledger. In Bitcoin the distributed ledger is called the "block chain." 2. credit five bitcoin to the payee’s address identified in the block chain. Industry Custom May Resolve Some Ambiguity. Thus, John and Betty’s contract say she will “pay” 5 bitcoin to John. The custom around Bitcoin suggests that Betty is required to interact with the block chain to debit 5 bitcoin relative to her address and credit 5 relative to his address. In contract practice, if there might be confusion about custom, the draftsman of the contract can employ words to reduce the confusion. He might for instance write out a long statement of steps that Betty will follow to cause and confirm a 5 bitcoin credit to appear relative to John’s address. Alternatively, he might refer to an authoritative statement of Bitcoin custom. He might say in the contract, “This contract will be interpreted under Bitcoin custom as articulated in https://en.bitcoin.it/wiki/Main_Page ." That sentence might resolve many questions about custom, but probably not all questions. What Should Happen in a Court of Law? However, neither block chain software nor Bitcoin custom explain what should happen in a court of law if a party fails to execute a trade (e.g., Betty fails to “pay” the five bitcoin). The software and the custom fail to explain what the consequences should be if Betty does not control the agreed amount of bitcoin at the time in question. Is she required to purchase five bitcoin and then transfer it to John? Or can she satisfy her obligation by delivering to John a quantity of pork bellies (a valuable commodity) equal in value to five bitcoin? That particular outcome does not seem right because we have no evidence that John is easily able to accept pork bellies. What Should Be the Remedy for Breach of Contract? If a court forced Betty to render to John 5 bitcoin using the block chain process, that outcome could be called “specific performance” under contract law. Specific performance means Betty must literally do what the contract says. But commonly US courts disfavor specific performance. Specific performance requires the court to understand what is going on. In order for a court clearly to understand specific performance in Bitcoin, the court might need to digest quite a bit of testimony from experts. The experts would have to explain to the court how the block chain works and so on. That would be a lot of work for the court. Courts Prefer Money Judgment Rather Than Specific Performance. Instead, a court is likely to prefer to give to John a “judgment” for an amount of legal-tender-money equal to the value that Betty failed to deliver to John. A judgment is a ruling that enables John to take legal action relative to Betty and her property. This judgment is the contract law remedy for Betty's breach of contract; it is an official statement that Betty owes a debt to John. This kind of remedy is called a “money judgment.” A money judgment is easier for a US court to understand and oversee. In the US legal system, money judgments are rendered and enforced all the time. Our system has managed money judgments for centuries. In contrast, to require Betty specifically to execute some performance relative to the so-called “block chain” would be – for a court – a new and complex exercise. Money Judgment Means Greenback Dollars. But typically the calculation of satisfaction of the judgment would be made in dollars. For example, if John’s judgment is in the amount of $2500, then the value of his lien on Betty’s house would be up to $2500. When Betty sells her house, John would be entitled to $2500 of the proceeds. Typically Betty could satisfy the judgment by paying John the requisite number of dollars. But What If John Wants Specific Performance? 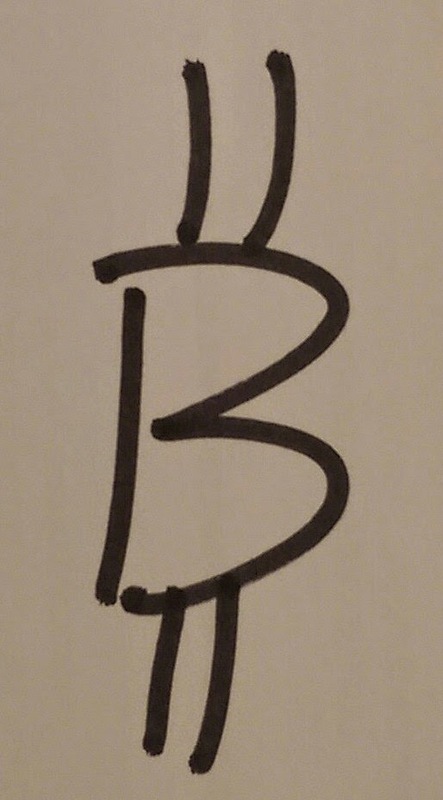 (A) Betty represents that she controls a Bitcoin address with at least 5 bitcoin of credit. (B) Betty will execute specific steps to credit 5 bitcoin to the Bitcoin address identified by John. (D) John is entitled to an order from court requiring Betty specifically to execute the steps articulated under (B) above. Written Contract Details Add Certainty. how the widget will be tendered or delivered. Details like these can be specified in a well-written contract, and can help John with his enforcement. Let’s look at a well-known contract that refers to Bitcoin practice, Coinbase’s User Agreement. Coinbase is a well-known Bitcoin wallet and platform. If a customer wanted to reduce the ambiguity of those words “store” and “storage,” then the customer could insist that the agreement provide much more detail. Alternatively the customer might insist that the agreement say that terms like “store” and “storage” will be interpreted under Bitcoin custom as articulated at a place like https://en.bitcoin.it/wiki/Main_Page . So a general message to readers is that a contract for bitcoin can be written with details that help to reduce risk and misunderstanding. A talented draftsman uses judgment to know how much detail is enough and how much is too much. This is an intriguing topic, and I’d like to talk about it. Please comment. If I’ve made any mistakes, please let me know. How to capture legal and accounting evidence of a bitcoin transaction. Terms of Bitcoin Wallet and Services. *Footnote: Under the Statute of Frauds, this contract might need to be evidenced by a “signed writing” to be enforceable. An audio recording can constitute a “signed writing.” Ellis Canning v. Bernstein, 348 F. Supp. 1212 (D. Colo. 1972).